It has been a very good year for new firearms and firearms in general. There are several firearms that are exceptionally good values, just plain good, and sometimes both. Though clearly an economy, entry-level, utilitarian offering, you can pick up a Savage Axis today at an astonishing low $250 in .270 Winchester or .30-06 and hunt virtually everything in the forty-eight contiguous states. A more satisfying offering, yet still quite economical, is the Mossberg Patriot in walnut trim. Both of the recent Mossberg Patriots tested in .270 Winchester did well, but the walnut model is a standout. The Remington V3 is the softest-shooting 7-1/4 pound shotgun I've ever tested in my life. Combined with a written lifetime warranty, an excellent trigger, very good factory choke tubes (the Full is steel-shot approved) it is the most semi-auto shotgun for the least money on the market today. Get it in camo and it is both ultra-reliable and very, very low maintenance, and it is remarkably affordable in the $670 to $770 (camo) range. It is Remington's 200th Anniversary, and there are two 2016-only Model 870s introduced, the Wingmaster Limited version, limited to 2016 units, a gorgeous 26 inch 12 gauge, but the 870 Commemorative Edition with a 28 inch barrel at $475 is a tremendous amount of gun for the money, and at that low price is exceedingly well done. 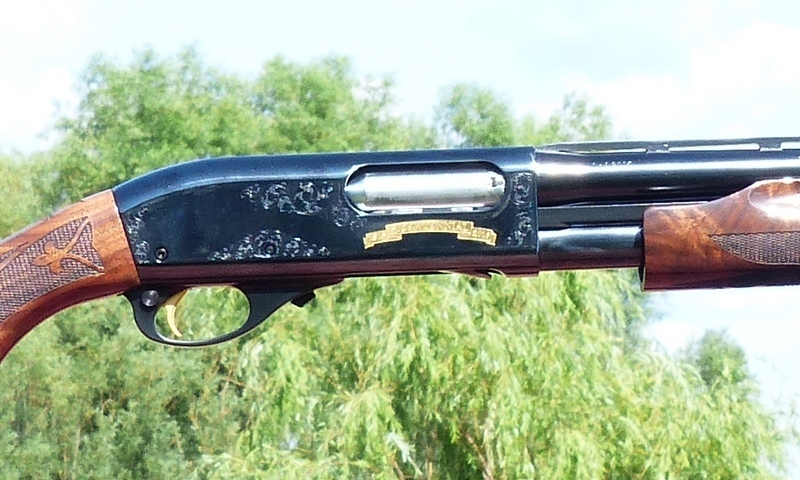 The Fabarm L4S Initial Hunter, a very attractive 6-3/4 lb. walnut and blued model, selling for a bit under $1200, is a personal favorite and the most appealing autoloader in its class. Browning has dramatically slashed the pricing on some of their Cynergy models. If a new O/U is what you are after, check out the Cynergy CX and other models. It is a whole lot of very satisfying vertical double for the money. Ruger finally got it right in the LC9s 9mm self-defense handgun, $370 or so, and the Ruger AR-556 at just under $600 is a terrific value in an AR, just as is or as a platform for your own custom AR. To finish off this brief “worthy of your consideration” list, if you are looking for a six pound sweetheart of a walnut gas-operated 20 gauge, check out the Weatherby SA-08 Deluxe. The 12 gauge, shown above, comes on at 6-1/2 lbs. For those who like the Civolani Action (inertia), in 12 gauge anyway the Weatherby Element is built and assembled as well as any inertia gun, yet the Weatherby Waterfowl Max-5 camo comes in at less than half the price of some of the others at $650 and is a remarkably competent shotgun for the price and a solid gun all-around.